The Miele AirClean 3D Efficiency FilterBags� are equipped with an Auto-Seal�, self-locking collar that keeps microscopic dust and allergens safely trapped inside, so you never have to worry about releasing the lung-damaging particulates, dust and allergens you just captured back into the air, even during disposal. The New Soft Structure allows your vacuum to operate efficiently while using a lower suction setting. 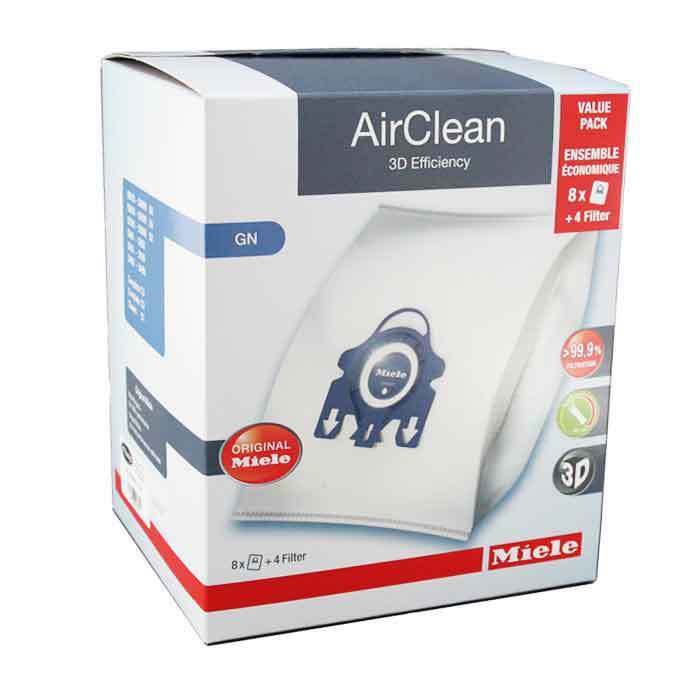 For use with the following Miele canister vacuum cleaners: S400 series, S600 series, S2000 series, S5000 series, S8000 series, Classic C1, Complete C2, & Complete C3 Series Canister Vacuums.